Three clear glazed panels are arranged in an ascending stepped configuration, solid borders. 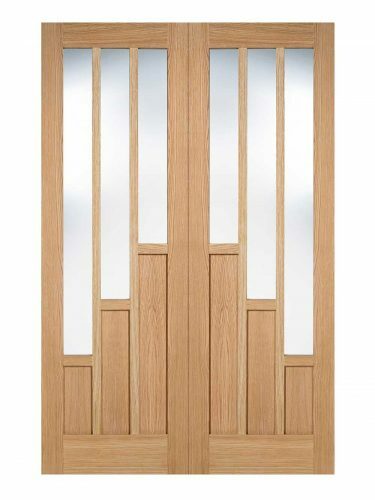 Available as a Fire Door (44mm) version and a standard variant. Doors are not rebated, sold as single doors.